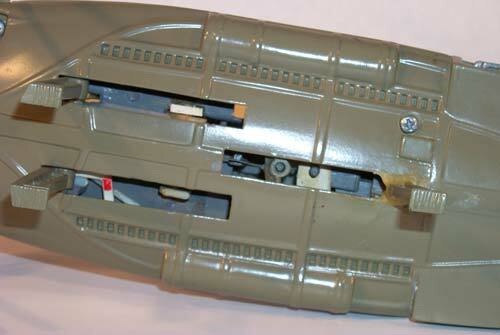 This model is, of course, of the Tatooine Skiff, a toy that Kenner released as part of their 1985 Power of the Force line. Here you see the top of the model. Many of these parts appear to have been injection molded in plastic. Here's a close-up view of the back of the model. Notice how rough or imperfectly-formed some of the details are. It's much less refined than were the final production versions. Another close-up. 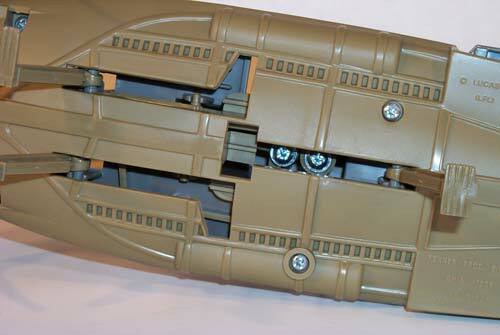 In this one can be seen one of the action features: the trap door designed to pop open and knock figures over. Keep in mind that this mechanism was likely installed entirely by hand. Lastly, we have a pair of shots illustrating how the bottom of the production toy compares to its photo sample counterpart. 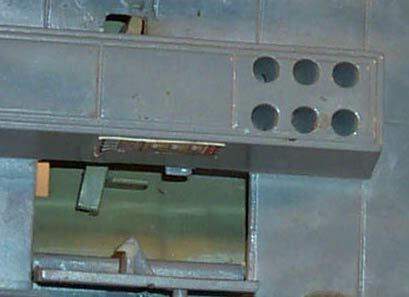 Above is the bottom of the production Skiff. Notice the width of the landing gear and the copyright markings, visible at the above left of the photo. Now, here's the bottom of the photo sample. Not only are the copyright markings totally absent, the landing gear are substantially thinner. 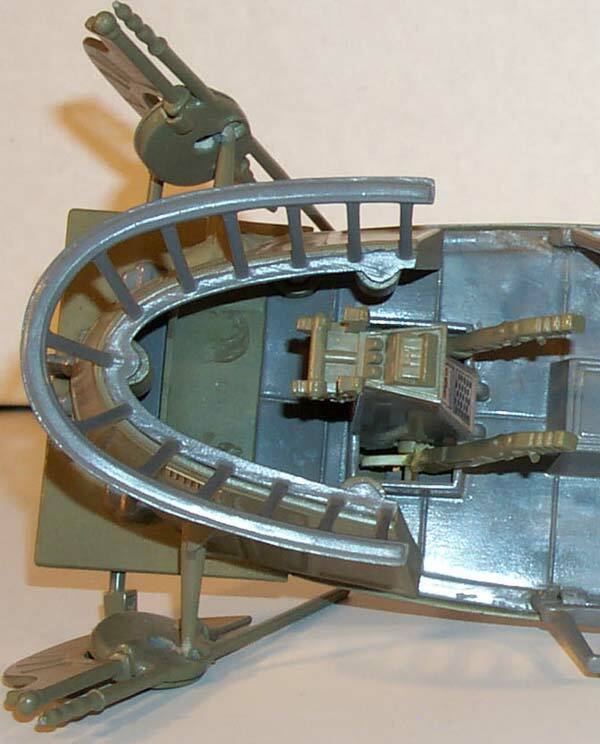 The landing gear of the Skiff were reworked just before it was put into production, so that the toy would be more stable when placed on a flat surface. It's hard to get a good idea of what this photo sample is simply by looking at photos. However, there's no doubt that it's a significant prototype piece. 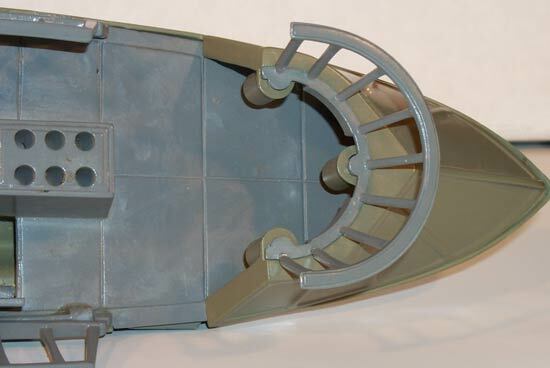 In all likelihood, it is the model that appears in Kenner promotional literature concerning the Tatooine Skiff; it may even be the very model that was photographed for use on the toy's package.